Ireland under-21 manager Noel King insists the ongoing dispute over northern-born players joining the FAI ranks should be kept out of the political sphere. King was reacting to news that five Democratic Unionist Party MPs have backed a parliamentary motion which states the FAI must send out a clear message that "boundary lines will be respected and honoured". It was tabled in the House of Commons by Jim Shannon (Strangford) and follows a row which emerged earlier this month after Northern Ireland boss Michael O'Neill claimed the FAI "only ever" targets Catholics to play for the Republic. 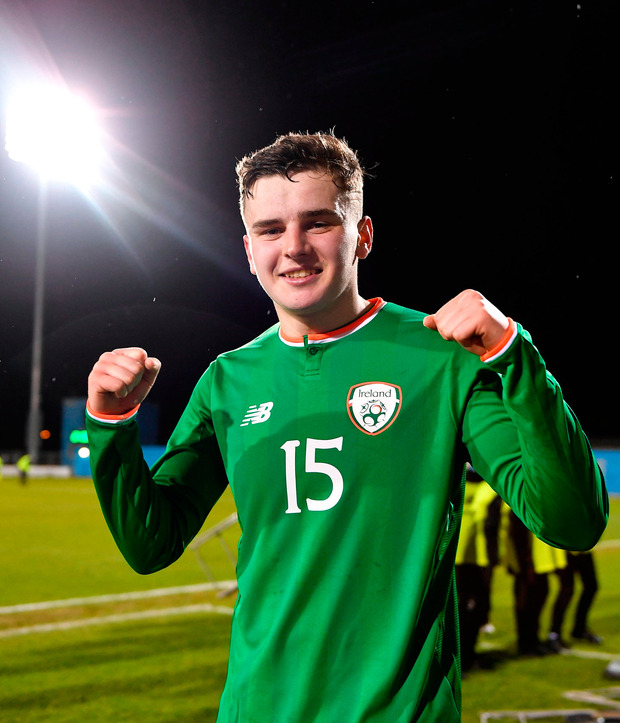 "I'm not a politician and I don't think sport belongs in the political arena," said King after two Belfast natives, brothers Rory and Ronan Hale, scored in his side's 3-1 win over Iceland on Thursday night. "I'm a football manager, coach, selector if you want to use the GAA term. "The boys who played are delighted to be representing Ireland, it's their choice. how many times to I have to say this? "That's beautiful tonight, two boys from Belfast who want to play for us, are dying to play for us, have played and scored. It's what football is. "I am playing with the rules of FIFA. If somebody feels they have the right to take the players' right to choose, there is a big question mark over that. "It's the player's choice, the family's choice and the most important thing is he is good enough to be picked, whether for Northern Ireland or the south."